The three had barely been on the road for an hour when they crested the hills that overlooked the village of Charing Vale. “That was fast,” said Dean. Charing Vale was a small village nestled in a little valley that opened onto the sea. The green hills rose up sharply around the hamlet from the rocky beach. Two main roads went through Charing Vale, the one from inland, which ended there, and one that followed the coast. About half of town’s inhabitants raised sheep on the surrounding hills. The other half of the populace made their livings as weavers, fishermen and other assorted tradesmen. The town looked much the same as the other villages, with the houses in the main part of the village built narrow and close together. Their church was not the same gothic edifice other towns boasted. This was a square building with a small tower, built entirely of rough stone and with a shingled roof. Robin guessed correctly that the church had been built fairly recently, and by what would later be called a Puritan. What had become of the other village church, which had surely been there, Robin never found out. It was market day and the people from all over the lonely coastland filled the center square of the village to buy and sell their wares. Robin smiled. Market day would mean that the inn was busy, and hopefully the innkeeper would be very interested in some extra help. They found the inn near the center square of the village. It was built just like the other town buildings, except it was wider and stood apart from its neighbors. On the side closest to the center square was a flower garden that had once been neat and well kept, but now ran wild. Behind the house, the stable could be seen, with another neatly laid out garden, this time with vegetables, that had been also left to grow as it willed. Chickens scratched among the plants with a half-hearted air. The inn seemed deserted. “It doesn’t seem to be doing so good,” observed Dean. “Then something fishy is going on,” sighed Robin. She pounded on the closed front door, braced for action. There was silence within. Robin pounded again. A window opened above and a thin, pinched looking woman poked her head out. She withdrew her head, and in a couple minutes, the door opened and she admitted the three travelers into the gloomy best room. “We could open the inn and run it for him,” volunteered Dean. “As you wish,” sighed the voice. With Mistress Whiteford’s instructions not to excite the old man, Robin, Dean and Elizabeth filed into the bedroom occupied by Master John Miller. It was apparent that as a youth, he had been a formidable character. Age had ravaged his long frame, leaving it withered and gaunt. Still, out of the ancient face peered two bright eyes that darted everywhere and missed little. “Can you work in an inn?” The old man watched them. “Mistress Ford seemed pleased,” Robin replied. “We were wrongly accused, sir,” Robin said urgently. Master Miller looked so deflated that Robin felt compelled to speak. “Yes, Uncle,” Mistress Whiteford sighed, torn between her desire to be free of her patient, and her basic distrust of the newcomers. Mistress Whiteford stayed long enough to make sure Elizabeth knew what she was doing, and to have her brains picked by Robin, who, once committed, was determined to make a success of the venture. It was barely noon when Robin left the inn to purchase the barley and hops needed to get the ale brewed. Because of the time needed to ferment, that was the first step. She had to go some distance, however, to find the farmer Master Miller insisted she go to. Adding to the difficulty was the handcart she pulled after her. The farm was in the next valley over, and as Robin went down the steep slope, the cart banged against the backs of her legs. The farm lay off the small road, surrounded by green pasture land dotted with sheep. Robin followed the small path about half a mile to the farmhouse. “Is anyone here?” she called out, startling the chickens. A middle aged woman appeared from the house. James, or rather, Master Ashley, appeared within minutes. He was a stocky man, somewhat browned by the sun. Even though it was a cool day, perspiration stained his shirt. He, too, was a little suspicious of Robin until she explained. Robin wondered what was behind it, but declined to ask. The couple was friendly enough, even hospitable, as they carried on their business. The Ashley’s had numerous children, ranging in age from infancy to fifteen. Robin counted at least seven. Mistress Ashley insisted on sharing their lunch with Robin. After they’d eaten, Master Ashley loaded the sacks of barley and hops onto the handcart. Then the oldest boy, a sturdy youth of thirteen, was instructed to help Robin up the hill with the cart. With the boy’s help, Robin made good time. As they reached the top, Robin turned to thank him. “I don’t dare go further,” he said suddenly. “Why?” Robin began, but to no avail, as the boy promptly turned away and ran off toward his farm. Puzzled, Robin concentrated on maneuvering the handcart downhill. Near the bottom, a group of young men, they appeared to be in their late teens, joined her. “You’re new here.” observed a dark haired youth, his face scarred by acne or smallpox or both. “It’s a pleasure to meet you, sirs.” Robin nodded at them as they all walked. “You haven’t much beard,” observed Edward happily, his beard not being much to speak of. “Yet you’re so tall,” said Samuel. Robin shrugged. But before she could start her story, she was interrupted. “What’s in the sack?” asked John. “Barley and hops,” Robin answered. “You’ll have to wait a couple weeks. The ale’s got to be brewed first.” Robin smiled. Robin was glad enough of the help, although somewhat suspicious of the boys. But their motives were indeed centered on the ale. They arrived at the inn in record time, with the barley and hops in excellent shape. Robin thanked them and sent them off in high spirits. After taking a deep breath, she turned to the inn and the next step. Of course, everything had to be discussed with Master Miller, but Robin didn’t mind. There was something about the old man that caught her fancy. She sat up late in the evening with him, discussing the inn, at first, then other matters. The man was ignorant, but only because of the circumstances of his birth. Even at an age when many elderly people have no intention of learning anything, John Miller was eager for instruction and knowledge. Robin thought he would have made a fine scientist, had he the education available. The next day was the Sabbath. The pastor of the village was a youngish man, approximately in his late twenties, with a mild demeanor and an educated speaking style. Robin had taken one look at the communion table in the center of the church and guessed at his Puritan leanings. Between that and his black clothes and the way he launched into the service with almost no ceremony at all, Robin worried that she wouldn’t get along with this fellow any better than she had Pastor Middleton, back in Downleigh. But Pastor Layton appeared to be cut from different cloth. He did not speak down to his congregation, nor did his sermon go over their heads. He challenged without condemning. Although the other villagers looked suspiciously at Robin, Elizabeth and Dean, Pastor Layton did not. After the service, he held them in the doorway of the church. It was pouring down rain outside. He gazed at Robin strangely. “That was kind of her.” Robin replied. “We’ll do that.” Robin smiled awkwardly, and shifted. 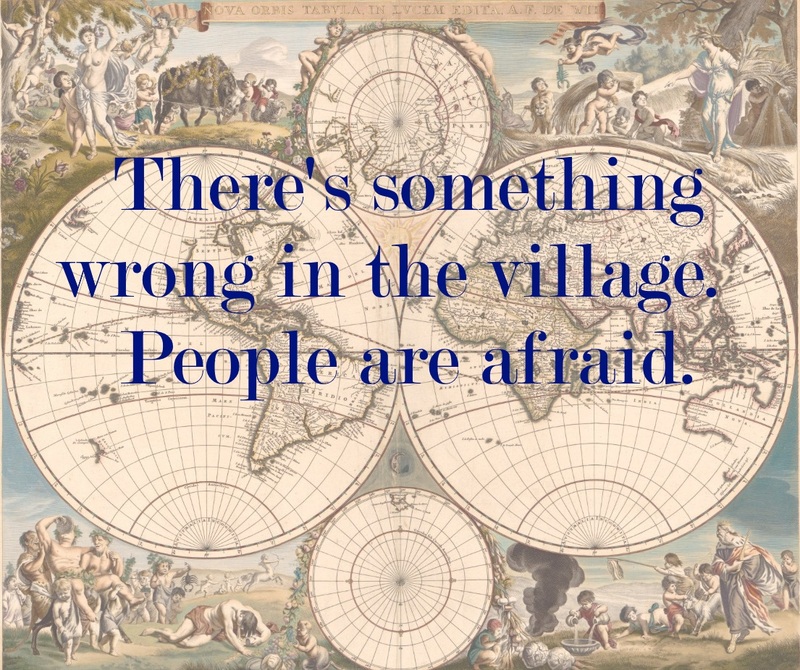 Aside from the recent bad experience, the suspicion of the other villagers made her rather suspicious herself. Back at the inn, they relaxed in the inn’s best room next to a roaring fire. “As I said, highwaymen,” Elizabeth replied. “You may have a point, Dean,” Robin sighed, and looked at Elizabeth. Pastor Layton arrived carrying two books just as the bell in the church was tolling three o’clock. Elizabeth had Robin show him up to Master Miller’s room, then prevailed on Dean to help her bring up food and drink for the guest and the invalid. As soon as he saw his visitor, Master Miller started struggling to a sitting position. “I don’t want help,” protested the old man. Grumbling, Master Miller slowly pushed himself up. Robin slid her arms around his chest and pulled him back against the pillows. “And your bishop is calling for it as strongly as My Lord, the Earl?” Master Miller grinned. “Of course,” replied the pastor. “I am?” Master Miller’s eyes twinkled, so full of the challenge that Robin was hard-pressed to tell if the man had been joking with the pastor or not. “Shakespeare?” asked Dean, appearing in the doorway. He carried five bowls, spoons and some cloths. Elizabeth came in behind him, carrying a large black pot, and a tray loaded with bread, cheese, two pitchers, and a roasted chicken. Robin got up and shifted a small chest around to make a table with the tray. Everyone bowed their heads as Pastor Layton made a good long prayer, giving thanks for a great many things besides the food. Robin’s stomach gurgled as they said “Amen” was said, and Dean most irreverently watched the chicken. But before he could eat, he had to run downstairs to fetch the tankards he had forgotten. Elizabeth busied herself serving the pastor, while Robin prepared Master Miller’s bowl, taking care to give him small portions and only the leanest bits of the chicken. “No cheese?” he complained, as he received his bowl. “Why not?” asked Pastor Layton, as the old man snorted. “Because cheese is full of the bad humours that hurt his heart,” Robin replied. “I’ve never heard that,” replied the pastor. The pastor mused over that bit of information, while Elizabeth rolled her eyes behind his back. Robin had insisted that she not give Master Miller any salt, instead directing Elizabeth to feed him garlic and onions. Elizabeth thought the whole idea silly. Salt was an important staple to her. How were they to preserve any meat without it? They’d need the meat for the coming winter. Then there was the prohibition on cheese, which Robin said was naturally loaded with salt and bad fats. Master Miller was also forbidden to drink whole milk. Robin had Elizabeth skim the cream very carefully from the top, first. Elizabeth didn’t think much of Robin’s strange ideas, but conceded because she couldn’t argue against them. Dean appeared with the tankards, and they all fell to the meal. “Hey, books,” Dean observed as he collected the pastor’s bowl. “Certainly.” Pastor Layton handed him the book, which was quite large. “I wasn’t aware there were any others.” Pastor Layton looked puzzled. She returned the book to the pastor. “You don’t all have to leave,” grumbled Master Miller. “I’d best clear away these dishes,” said Elizabeth. Master Miller and Pastor Layton both gave him an odd look as he filled the tray and picked it up. Elizabeth smiled indulgently. In a few seconds, Elizabeth cleared the room of dishes and Dean. The afternoon whiled away peacefully. Robin listened as the two men discoursed, occasionally interjecting a comment here and there. The local baron, one Lord Roger Featherton had sponsored Pastor Layton’s excellent education. The pastor was great friends with Master Miller, who had not had the same opportunity for an education. But instead of begrudging it of the pastor, Master Miller took advantage of it, receiving the pastor’s instruction gladly. Of course, in spite of being uneducated, Master Miller could frame an argument in the best academic style. Robin had to stop herself from laughing when Pastor Layton was forced to concede to Master Miller’s better logic. Then she found herself drawn into an argument. She never noticed that Dean and Elizabeth did not return. All too soon, it seemed, the village clock tower tolled the hour of five o’clock, and Pastor Layton stood and stretched. “Thank you, sir.” Robin smiled. “So was Marlowe,” Robin shot back. “I’ll leave you two to continue the debate.” Pastor Layton cut in, laughing. Robin left to show him out. She finally noticed that Dean and Elizabeth had disappeared. But her mind was too full of Bait and Fleas and pleasant discourse to care where her brother was. The next day, while Dean cleaned out the stables, Robin turned to the vegetable garden. Supplies were very low, and while they still had quite a bit of money, it wouldn’t last forever. Robin decided to see what she could salvage. She harvested a fairly good crop of cabbages, as well as carrots. She was pulling up onions when shadows fell across the garden. She looked up to see the six young men from two days before gathered around her. “Hello,” she said, sitting back on her haunches. “Not brewing any ale today?” asked Samuel. “Should we tell him about…” started Richard, but the others shushed him. “About what?” asked Robin. She stood. “Don’t like traveling that far, huh?” Robin grinned. “That, and the innkeeper charges too much for bad ale,” said John. The boys cheered. Elizabeth came outside from the kitchen. “Robin, where’s Dean?” she asked. “In the stable.” Robin replied. Elizabeth left. The boys stared after her. Robert looked at Samuel, who nodded. “Who are we talking about?” Robin asked. “Can’t someone complain to Lord Roger?” Robin asked. “A bunch of organized criminals, and they are really rotten fellows,” Robin explained. “So that’s where all the girls are,” said Dean. “I’d like to see him try to take Elizabeth away,” Dean threatened. “Dean, here we can’t afford to play any modern tricks,” Robin warned. “Well, there’s other ways.” Dean shrugged.